This year’s festival in Copenhagen on November 6 was a success with two sold out tasting sessions, a press tasting with Dirk Niepoort, some new participating importers and a super nice new Vintage, 2015, to taste from many of the port houses. The arranger of this festival, Forlaget Smag with Henrik Oldenburg, had invited Dirk Niepoort for a special tasting showing how traditions are maintained in the development of the Niepoort Company and its new products, all based on long experience in the business. Experience is something Dirk has a lot of, being the fifth generation in the family company, and the manager since 20 years. 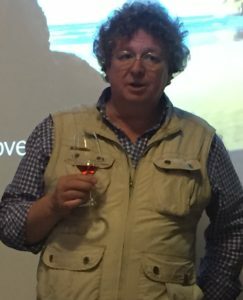 Dirk is a very well-known person in the port wine business, not only for the high quality of the wines coming out from Niepoort, but also for being one of the most charismatic persons with his own ways of doing things. He say he aims for perfection of the balance in the wines and talks about the importance of not trying to exaggerate the expression based on the assumption on what people may like and instead trust your own knowledge of what usually works. In his own words this gives wines with precision and elegance with a remarkable ageing potential. The tasting showed us that Niepoort is a company that deliver not only high quality Port wine but also some of the finest table wines available from Douro. We got to taste both white and red wines with really good quality, especially interesting was the mature white Redoma Branco 1996 – showing the ageing potential in his wines, the red Poeirinho 2015 from Bairrada – a truly great red based on the Baga grape and the latest vintage, 2015, from his best red wines Batuta and Charme. When it comes to Port Wines he presented the LBV 1981, an eye opener for anyone saying that LBV is for immediate consumption on release, this shows that those that are patient with wines will get a better experience. Then we got to taste two wonderful Garrafeiras, 1952 and 1977. 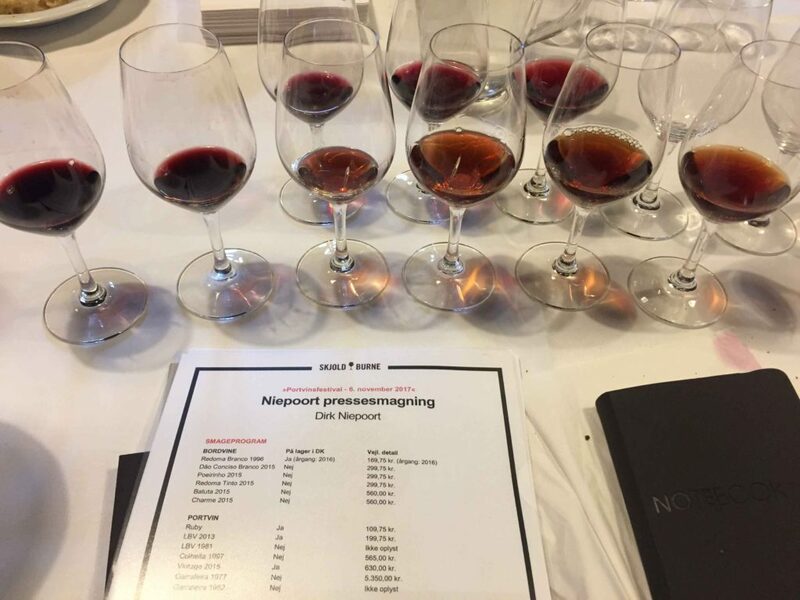 Today, only Niepoort produces this type of Port Wine, so they are rare and sought after on the market – they are also worth looking for because they are of wonderful quality. Both of them are very elegant and complex, see tasting notes. 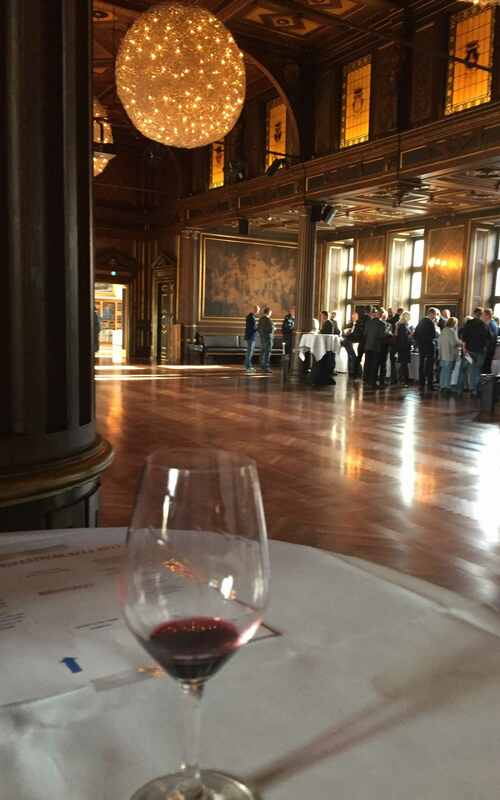 Finally we got to taste the Vintage Port 2015. A Vintage described by Dirk as perfect for Vintage Port and when tasting it we can only agree, because the result is very impressive, see tasting notes. The rest of the festival we focused on the Vintage Ports, as usual, and not only Niepoort managed to deliver a great 2015, we were also very impressed by Cockburn and Quinta da Romaneira. Quinta Senhora da Ribeira and Palmer (new brand from Barão de Vilar) were also impressive. There were also some older Vintage Ports available for tasting that we liked; Warre’s Vintage 2000, Sandeman 1994 and 1975, Quinta da Cavadinha 2001, Graham’s Malvedos 2004, Quinta dos Canais 2010 and Quinta de Ervamoira 2009. There were also some nice ranges of Vintage Port from Quinta do Infantado, Quinta do Retiro Novo and Quinta da Romaneira that allowed you to see how Vintage Port develop in the bottle. This entry was posted in Tasted Vintage Port, Wine tasting and tagged Canais, Cavadinha, Dirk Niepoort, Ervamoira, Infantado, Malvedos, Niepoort, Palmer, Retiro Novo, Romaneira, Senhora da Ribeira, Warres on December 6, 2017 by Stefan.